The Golden State Warriors from 2015 to 2019 have been incredibly fantastic teams. Many experts argue that they could very well be the top team in history, if not one of them. Up until 2017, the Warriors were already a force to be reckoned with, but then they added a healthy and surging Kevin Durant. The hatred for Durant begins, and the dominance of the team in the Bay Area only increases. 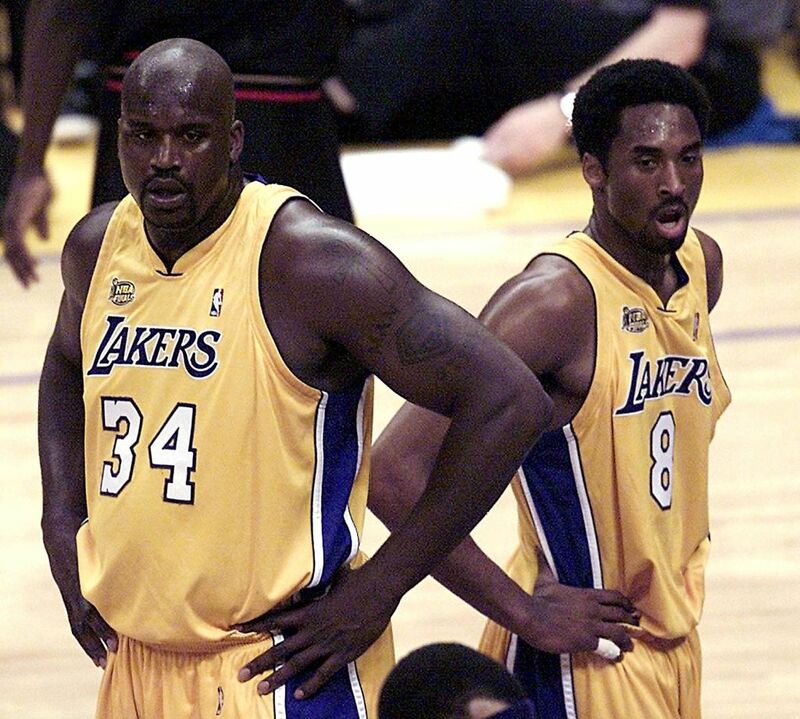 The legendary Shaquille O’Neal said his 2001 Lakers would easily handle the Warriors. Steph Curry didn’t agree with his statement, but that Laker squad isn’t the one that could have defeated or at least gave the Warriors a challenge. Which teams in NBA history do you think are worthy enough to defeat present-day Golden State? Here are our picks, see if you agree! 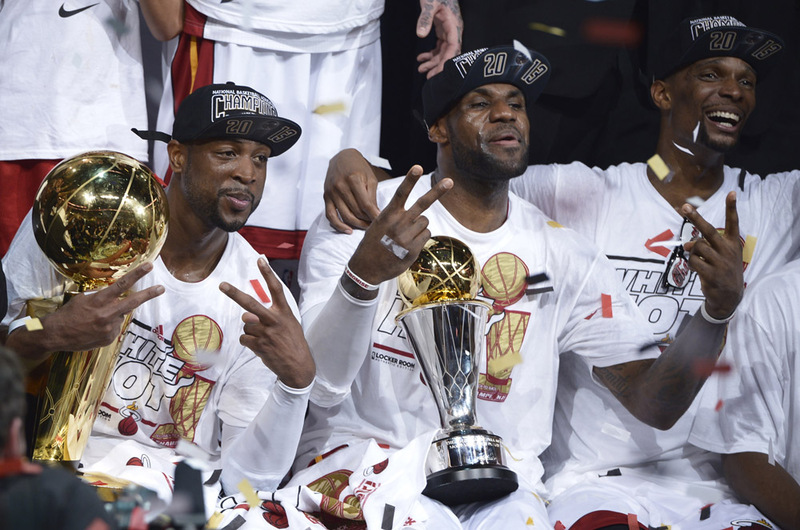 The 2013 season was Dwayne Wade’s third championship outing and LeBron James’ second- the Miami Heat had a loaded team. Mike Miller, Rashard Lewis, and Ray Allen coming off the bench meant this Heat squad had almost as much shooting prowess as the Warriors do. Throw in LeBron James at his prime with a healthy Chris Bosh and Wade, and you have an intriguing match-up on your hands. 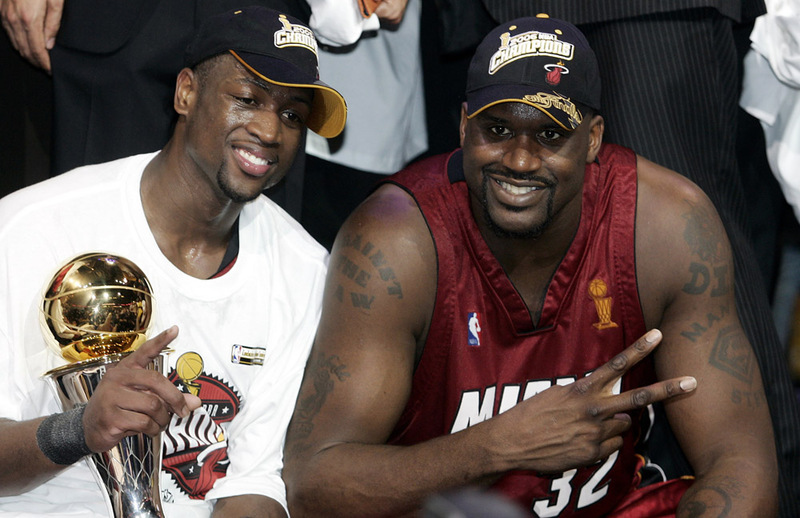 James has beaten the Warriors once before in the Finals, so we’d like to think that Wade and he could accomplish it together. Imagine having to compete with the greatest of all time in any event. For basketball, the G.O.A.T. is Michael Jordan. And in the 1991 season, he was at his absolute best. With Scottie Pippen finally along for the ride, these Bulls could match up against any team in NBA history. No matter if it was rookie-year Jordan or 2003-Jordan, he was always a tough cover. Draymond Green and Klay Thompson would have their hands full for the whole series in this one. The 2008 Boston Celtics team can easily be remembered as one of the first “super teams” to become manufactured in the NBA. 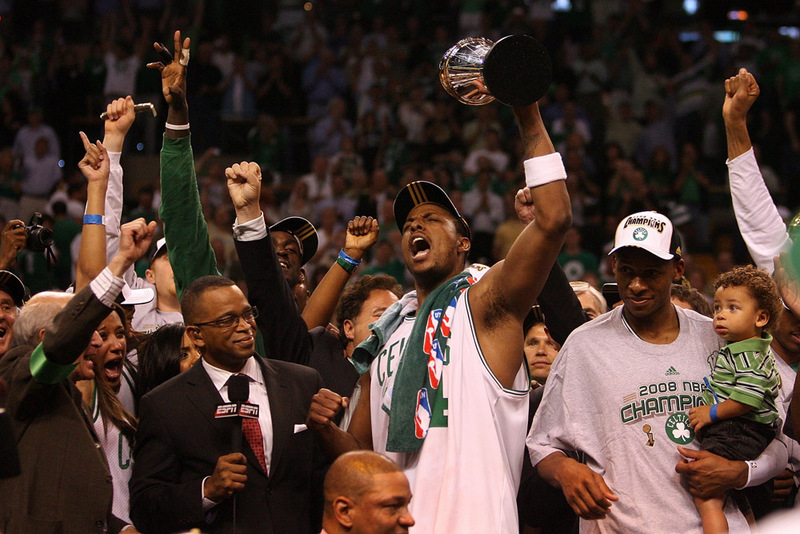 Paul Pierce stayed loyal to the fans of Boston, and then came Kevin Garnett and Ray Allen. Nobody knew what to expect from this team, but a championship was certainly one expectation. Sure enough, these Celtics won the Finals and it felt like it was supposed to happen. Can they defeat the Warriors with Kevin Durant and DeMarcus Cousins? We aren’t 100 percent sure, but we do know Pierce and his teammates would give them a run for their money. Remember that one guy who scored 100 points in one game? He was tall, maybe 7’1″, and 275 pounds. 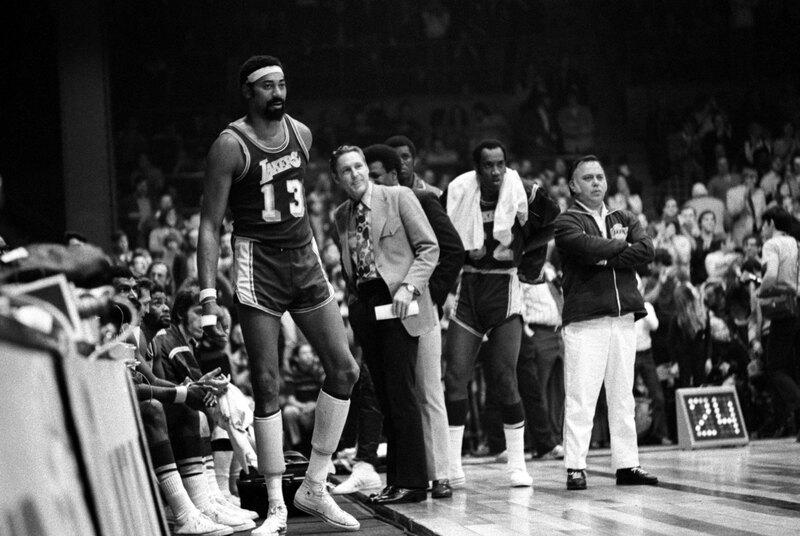 His name is Wilt Chamberlain and he helped lead the 1972 Lakers to a title. Alongside him there was also Elgin Baylor (a top 50 player of all-time), and Jerry West, whose likeness is the NBA logo. The Warriors already have a tough time defending big men, so it’s safe to say that Chamberlain would have his way in the paint. West also was averaging over 25 points per game which means Steph Curry and company would have their hands full. These Lakers would be favored. 2014 would be the last championship won by a Western Conference team that wasn’t the Golden State Warriors. This was also a few years before legends Tim Duncan and Manu Ginobili would call it quits. Not only did they have their classic big three (Duncan, Ginobili, and Tony Parker), but this Spurs team also had the early version of Kawhi Leonard. Leonard, who went on to win Finals MVP during 2014, had the pleasure of becoming the “LeBron stopper.” With Duncan leading the way for big men in a match-up with the Warriors, and no one else who could stop Leonard, Golden State would be in trouble against this team. Players from both teams think their respective cast would be victorious. See who next. “I think we’d easily win,” O’Neal told USA TODAY Sports. “Other people might feel different, they (the Warriors) might feel different. But we had one of the best teams of all-time in 2001.” These Lakers only lost one game in the playoffs and it was against a hell-bent MVP, Allen Iverson. “Oh, he’s dead wrong,” Curry told ESPN, with a smile. “Of course. We’d beat them. We can go back-and-forth all day.” Naturally, Curry has to support his team, but really, how confident is he that he could stop Kobe Bryant while Shaq dominates? Anytime you pair a dynamic player like Julius Erving with a great big man like Moses Malone, opposing teams are in trouble. 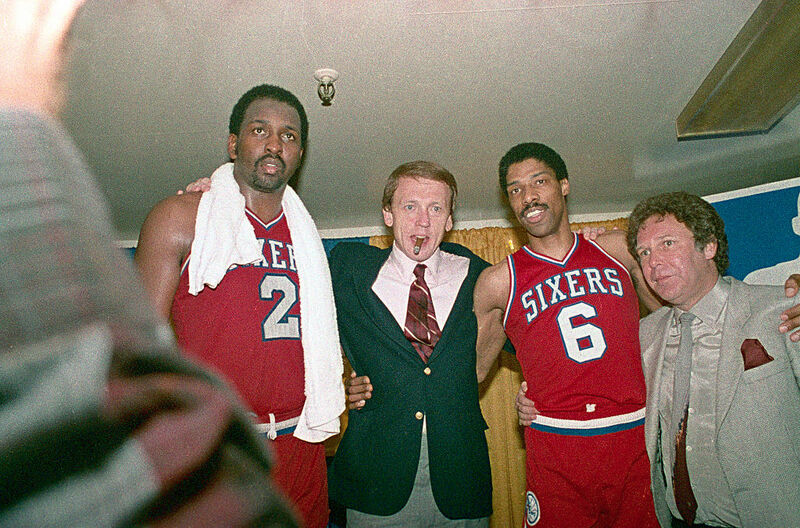 The 76ers acquired Malone in the summer before the 1983 season and went straight to the Finals. Malone had a high motor and was a relentless rebounder. The Warriors would need to play perfectly to defeat this 76ers team. The victor can be any one of them, but an advantage rests with the past here. Before the Warriors posted a record-breaking regular season of 73-9, the 1996 Bulls did it first with 72-10. All it took was one year for Michael Jordan to reassert his dominance in the NBA after coming back from his baseball stint. The Bulls also added the tenacious Dennis Rodman this season. Some could argue that Draymond Green is this era’s Rodman. Too bad the Warriors don’t have this generation’s Jordan. These Bulls were great on defense and that would be the advantage needed to win. We’ll go ahead and throw in one more Miami Heat team as well. This Heat roster loaded with the greatest version of Dwayne Wade, a Shaquille O’Neal just outside of his prime, and a bevy of legends who wanted their first ring is the perfect elixir for the Warriors. Wade put on what was the most spectacular Finals performances NBA fans had seen since at least Michael Jordan was winning rings. Wade was virtually unstoppable in 2006. You also know by now Golden State’s kryptonite is a great big man. Say hello to Shaq. 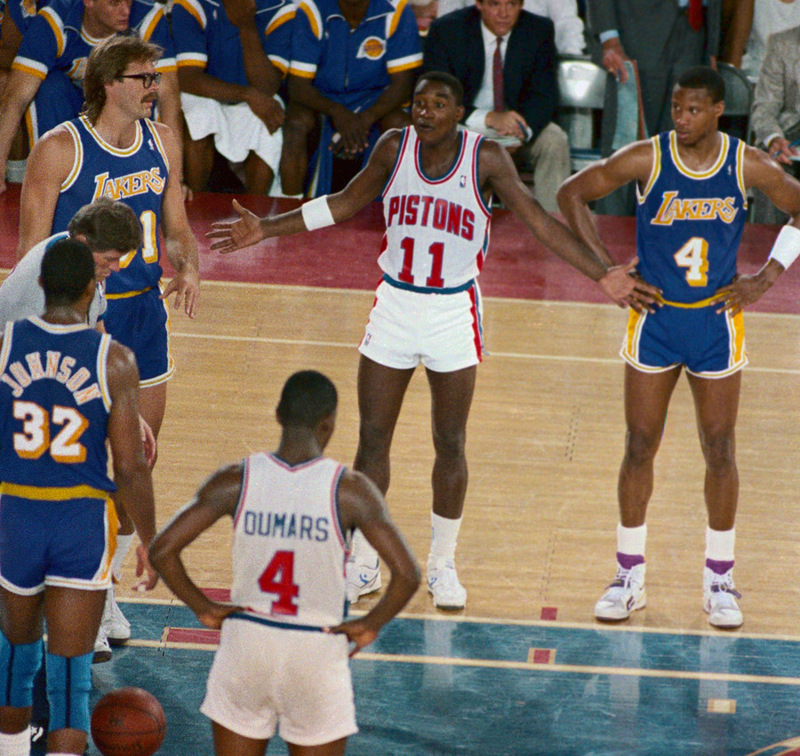 Isiah Thomas and Joe Dumars going up against Steph Curry and Klay Thompson would make for some great basketball. The Bad Boys of Detroit were not a team you wanted to play without confidence. Thankfully, the Warriors are full of bravado. Still, they would have trouble against the more physical players of the Pistons. If you think Draymond Green is a dirty player, then Bill Laimbeer and Rick Mahorn were filthy. These guys loved getting underneath the skin of their opponents. 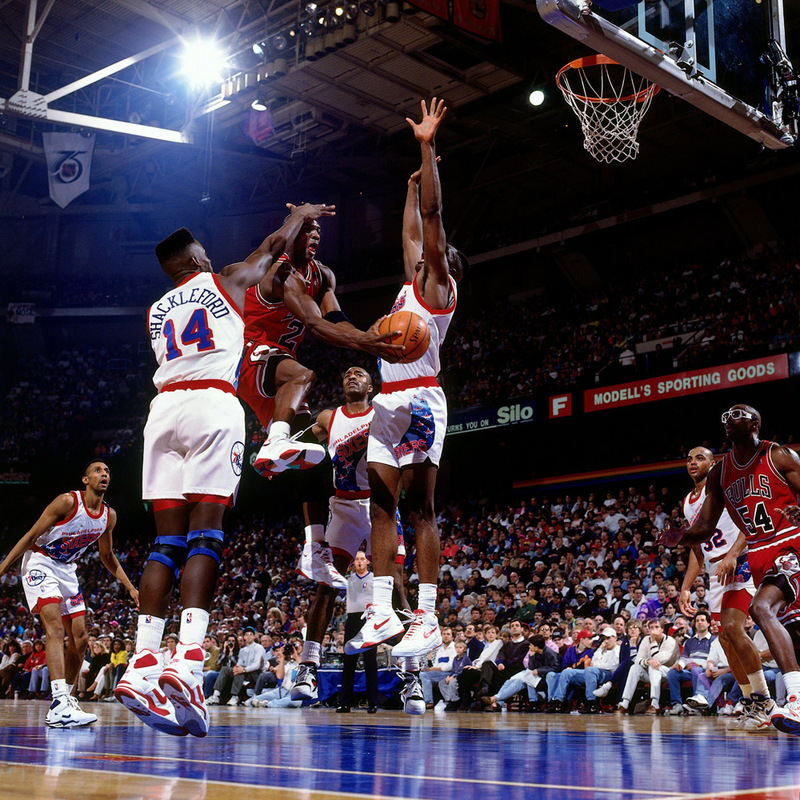 All the while, Thomas and Dumars would make sure their team walked away with a victory. They also had Dennis Rodman. 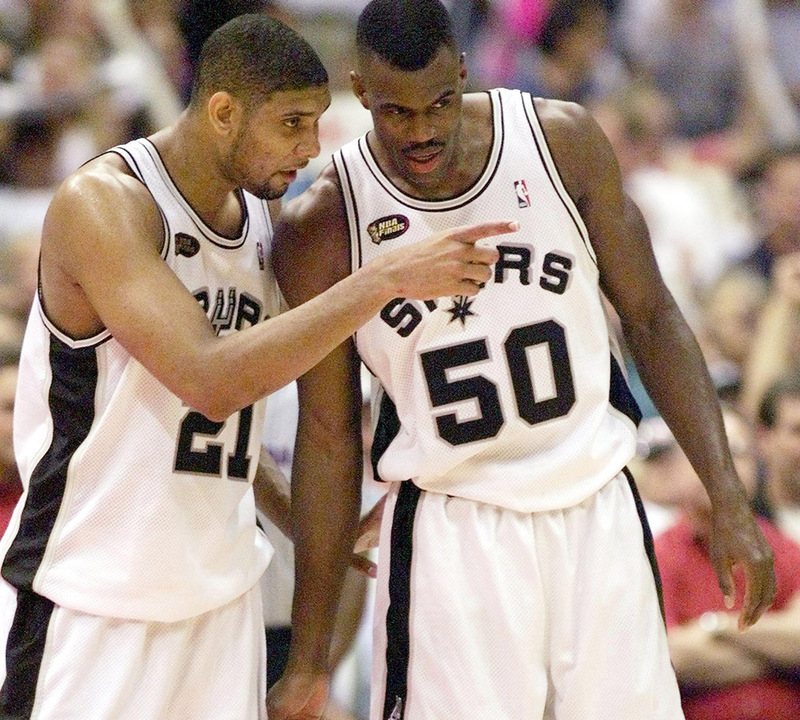 In what was the first championship of four in an eight-year span, the 1999 San Antonio Spurs had two big men to worry about: David “The Admiral” Robinson and Tim “The Big Fundamental” Duncan were the anchors for this savvy Spurs team. Not only would they dominate the inside game, but they had sharpshooters as well that could light it up from the three, similar to the Warriors. Duncan and Robinson would have been too much to handle for Golden State, but perhaps Kevin Durant would have something to say about that. These two teams would be a great match-up to watch. 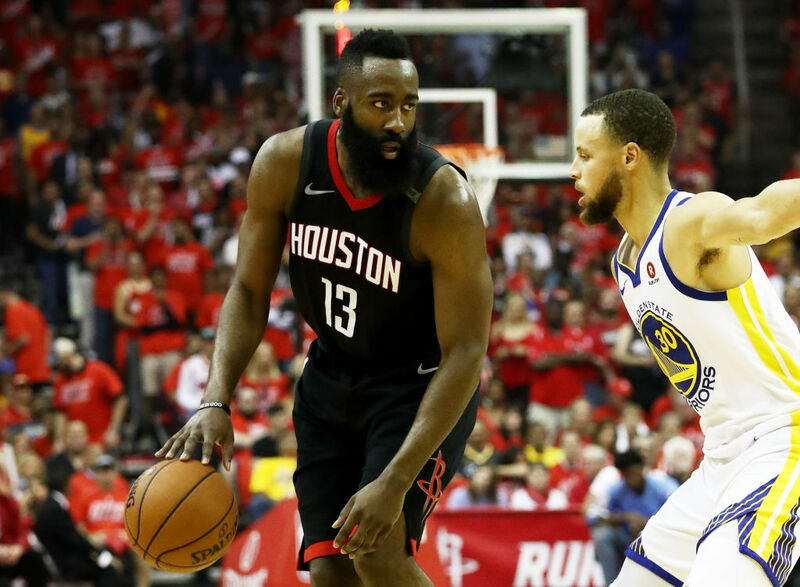 The 2018 Houston Rockets constructed their team perfectly around MVP James Harden, but in doing that, also made a team that was primed to take down the reigning champs. Harden with Chris Paul and a lot of shooters meant trouble for Golden State. The two teams ended up playing each other in the Western Conference Finals. The Warriors ended up forcing a game seven in a series that could have ended in game six if it were up to a healthy Paul. When Paul injured his leg in the elimination game, that gave the Warriors just enough spark to move on to the Finals. From 1981-86, the Boston Celtics won four NBA Championships. 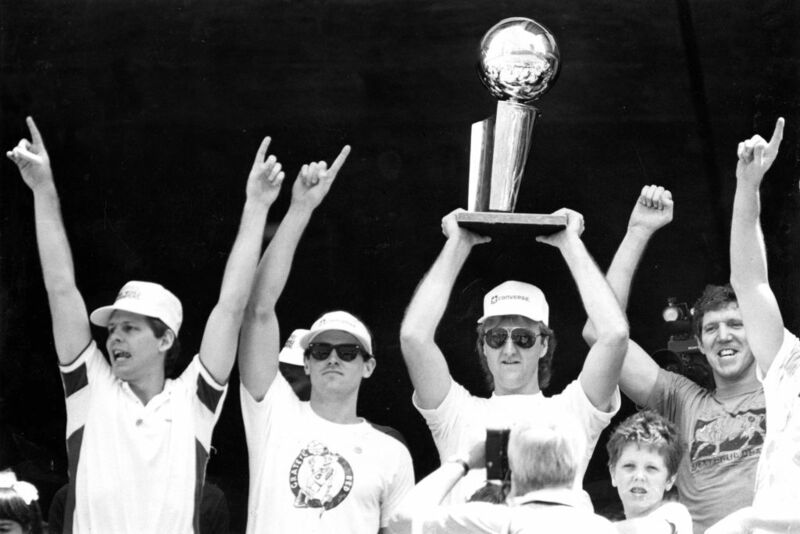 Larry Bird leads the charge for this title-hungry team. And in 1986, their lineup of Robert Parish, Danny Ainge, Kevin McHale, and Dennis Johnson was virtually unbeatable at home. They were also as great on defense as they were on offense. Yes, the Warriors have a ridiculous amount of star power, but these Celtics could shut them down if not pester them for the entire game. This would be one matchup that would aggravate the Warriors significantly. The 2004 Detroit Pistons already dismantled a super team in the Finals if you recall. They defeated the stacked Lakers which featured Kobe Bryant, Shaq, Gary Payton, and Karl Malone. The latter two might have been falling from grace and far from their prime, but they still were talented players. Much like the Pistons of old, this Detroit team had a nose for defense. Once they figured out how to stop you on offense, there wasn’t much you could do except launch three-pointers from way outside the arch. Perhaps, the Warriors would see the light of day or maybe their defensive counterpart would shut them out. The Houston Rockets were fresh off of winning their first championship in ’94 and decided they would take full advantage of Michael Jordan trying to hit home runs instead of three-pointers. 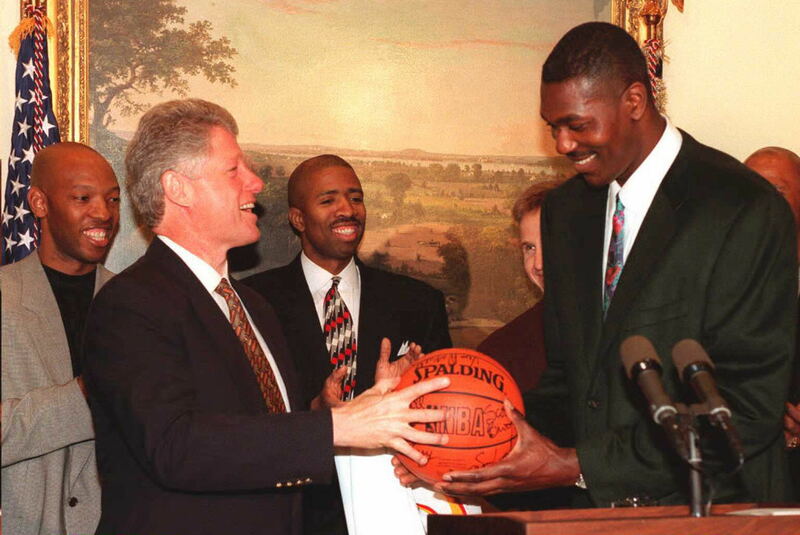 The Rockets won again in ’95 over a young Shaquille O’Neal behind the sheer dominance of Hakeem Olajuwon. The Rockets also made a trade for legend Clyde Drexler in 1995 which boosted their scoring options. No Olajuwon, and the Warriors mop the floor with these guys. If Olajuwon is out there, we’d give any championship team a chance against Golden State. 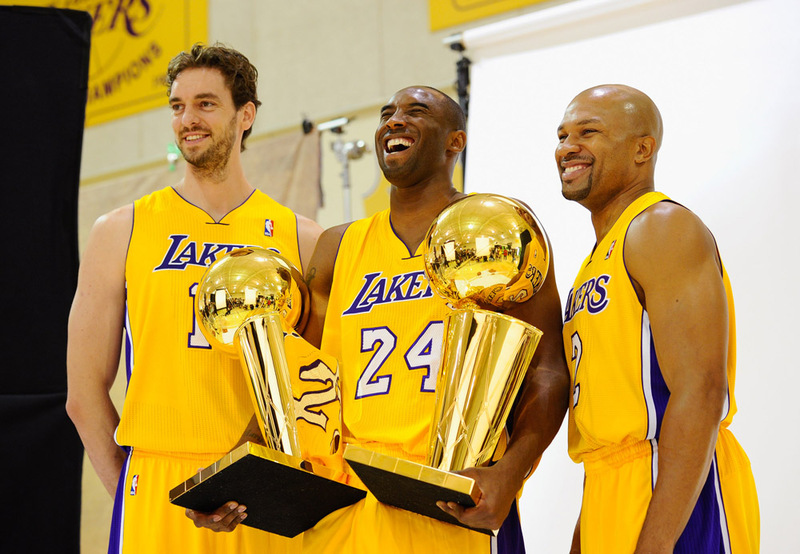 When you think of the “Showtime” Lakers, this is the best installment of that team. 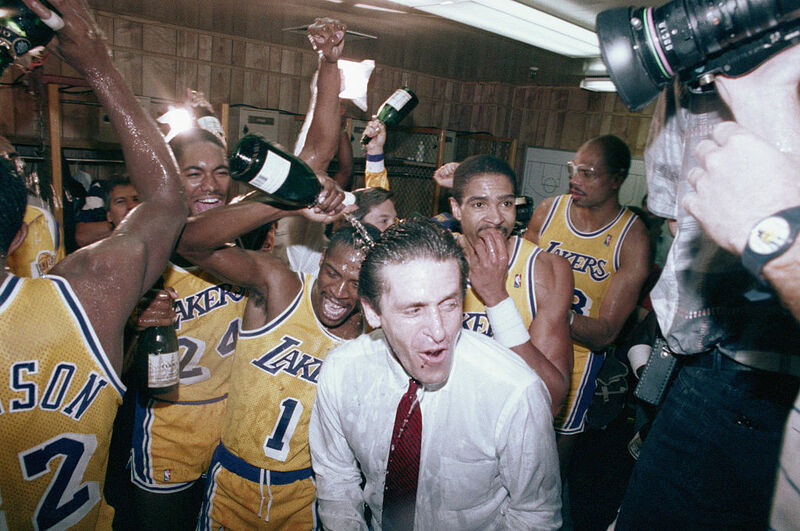 The 1987 Lakers were stacked just as the Warriors are, but their game was above and beyond present-day Golden State. Not only did they have the highest scoring playing and the most unguardable shot in Kareem Abdul-Jabbar, but they also had the best point guard in Magic Johnson. The one thing that makes this matchup easy for the Lakers is their bench depth. When one of their starters comes out, there was Klay Thompson’s dad, Mychal, and Kurt Rambis to come in and provide help. If you thought we weren’t going to add at least one more San Antonio team, think again. 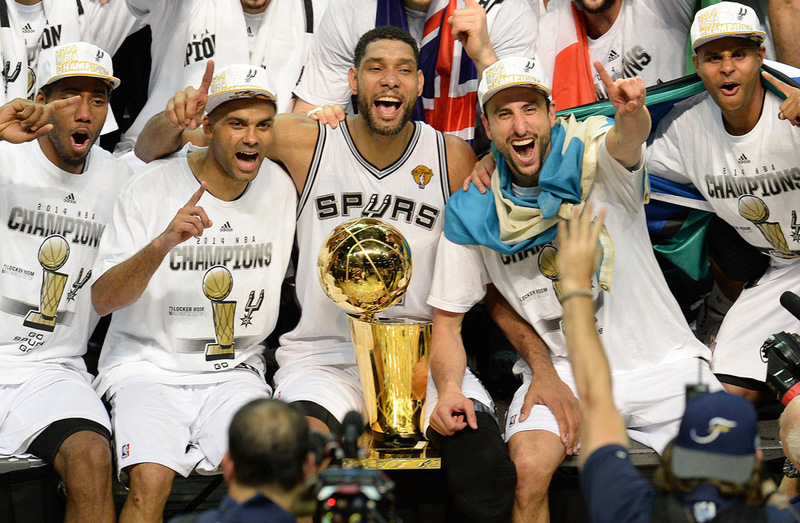 This is the year the Spurs big three became their own. 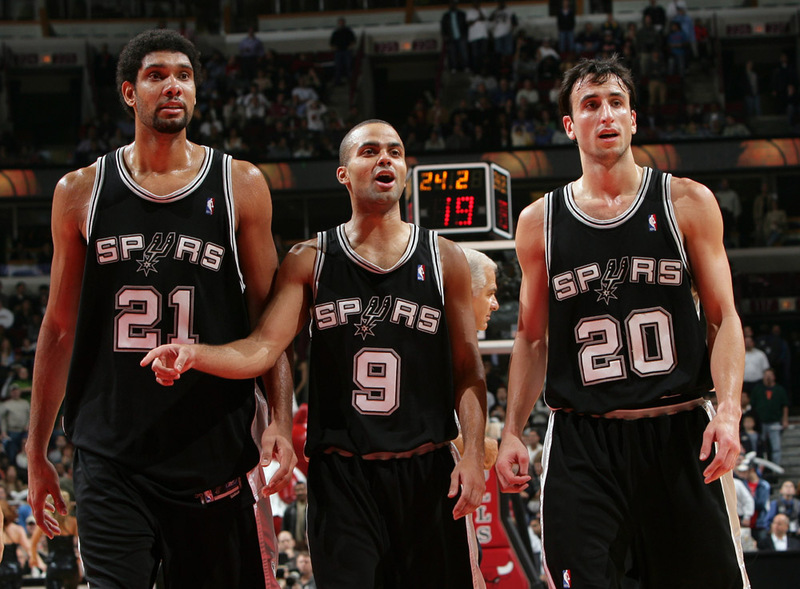 Manu Ginobili, Tony Parker, and Tim Duncan were an amazing trio that would go on to win multiple championships together. The Spurs may not play highlight reel basketball, but they play smart ball that’s tough for anyone. This Spurs team was great at finding what worked best against you and pounding it down your throat. Kevin Durant and company would have to literally play flawless ball to overcome the 2005 Spurs. Does the name Bill Russell ring a bell? 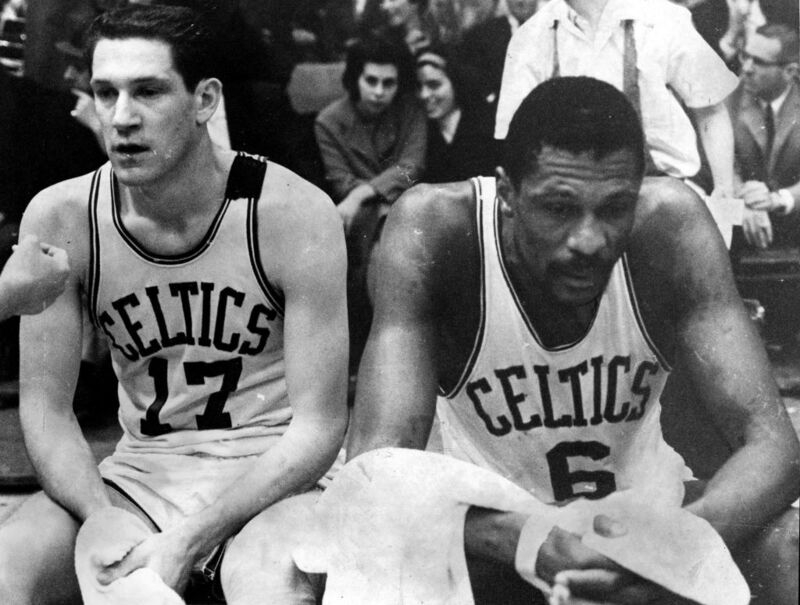 Outside of Russell, the 1965 Celtics boasted four other Hall of Famers, all at once. This Celtics team might not have been the best at offense, but they are arguabl the best defensive team the NBA has ever seen. The Celtics were already on a crazy run of eight straight championships, so we’d imagine thumping the Warriors would be light work for them. Russell averaged 24 rebounds a game by himself, which is almost as much as whole teams bring in together. 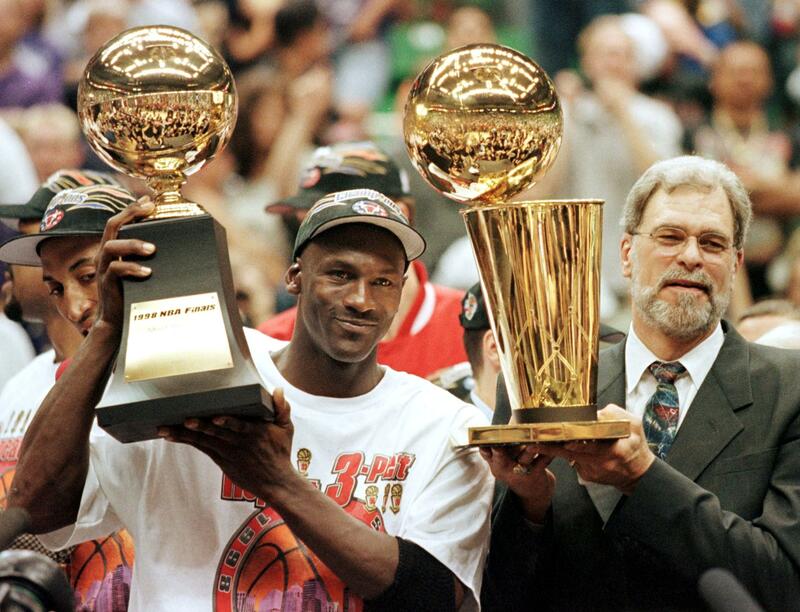 Of course, the last year Michael Jordan would secure a championship has to be included. Jordan went out with a bang this year and we’d expect nothing less against the Warriors. 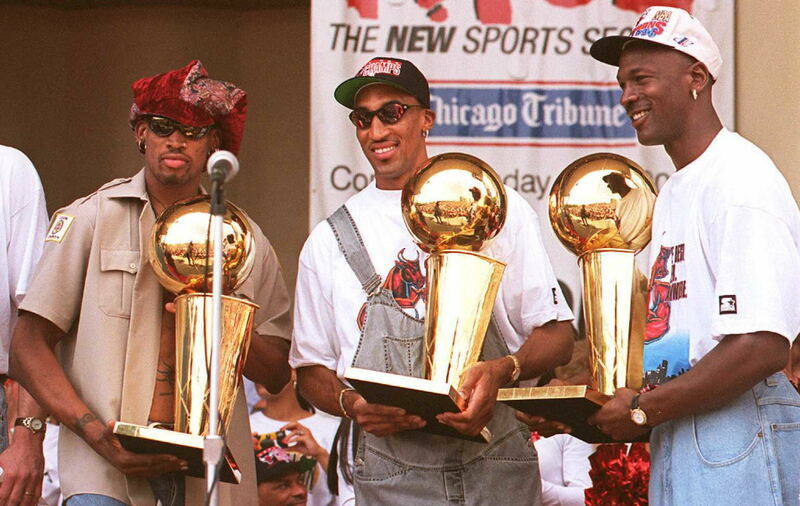 Scottie Pippen still had plenty of gas left in his tank and Dennis Rodman was still up to his tricks. We have to mention the undying will of Jordan. This was the season he hit “The Shot” in game six of the Finals while having the flu. Jordan is no stranger to doing things we can’t fathom. Of the previous Los Angeles Lakers team listed, this one might be the weakest, but don’t let that fool you. The 2010 Lakers had plenty of bite behind Kobe Bryant. Two bigs over 7 feet that were excellent at basketball (Pau Gasol and Andrew Bynum), a defensive savant in Ron Artest, and the man that could do all, Lamar Odom, would give the Warriors a pretty hard test. Draymond Green could probably handle one of the big men, but that leaves the other one to face a DeMarcus Cousins fresh off an Achilles tear. This would be great basketball to watch.